If you love our Mad Conductor Music products but don't like using a credit card, now you can purchase great holiday music gifts and apparel with your paypal account. Zazzle just announced that paypal is a new payment option for all purchases. Surprise your favorite French Horn player with a warm hoodie on Christmas morning. 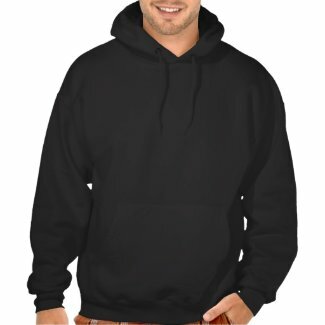 Hoodies are popular with all ages and this one is so cool with its classy grunge look french horn design. Any Oboe Player would laugh at this funny oboe t-shirt. 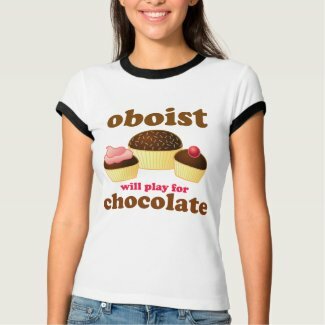 The design says Oboist - Will Play For Chocolate! A great tip for using a t-shirt as a stocking stuff is to roll the t-shirt up tightly and tie with a big red ribbon, then tuck in any Christmas stocking.